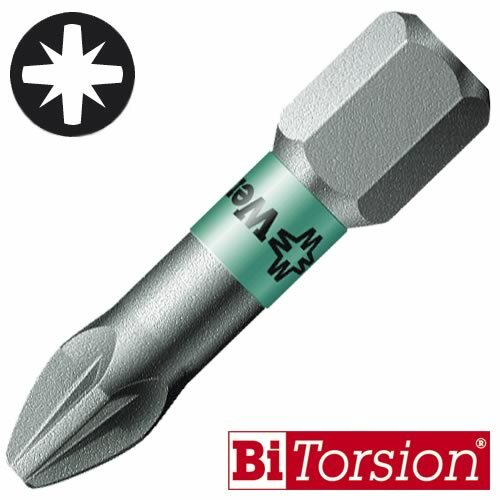 Wera Extra Tough bits are designed with strength and durability in mind, these Wera bits can with stand the pressure created from impact drivers. 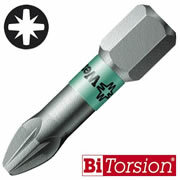 Extra tough bits offer increased life when compared to standard bits. High quality 25mm long PZ3 screwdriver bits.